The 2017 Best Selling EV...In the World! The rise and rise of the Chinese PEV market is unstoppable, with yet another record performance in December, with 102,000 new passenger PEVs being registered last month, up 130% YoY, while pulling the YTD count to over 600,000 units, up 71% regarding 2016. As consequence of this rapid growth, in December the PEV share hit a record 3.3%, while the 2017 PEV market share ended at 2.1%, firmly ahead of last year score (1.5%), and above the USA (1.2%) and Europe (~1.9%). The Chinese PEV market represented roughly half of the 1.2 million plug-ins sold worldwide in 2017, while Chinese carmakers made 47% of all PEVs sold last year. Despite exports still being symbolic, the domestic market is more than enough to absorb the current production, helped by the fact that it is a highly protected market, as foreign brands only have 4% of PEV sales. Of this (small) cake, 2% belongs to Tesla, with the remaining 2% being divided by all other auto makers. In December, small city cars had the upper hand, with the BAIC EC-Series being the poster child of them, selling over 13,000 units, which allowed it to reach #30 in the mainstream automotive ranking in China. Good month also for the BYD plug-in hybrids, with the Song and Qin joining the Top 5 of December. #1 – BAIC EC-Series: After a series of ever improving performances, it looks like EC-Series has found its cruising speed, at over 10,000 units/month, having registered 13,169 units in December. 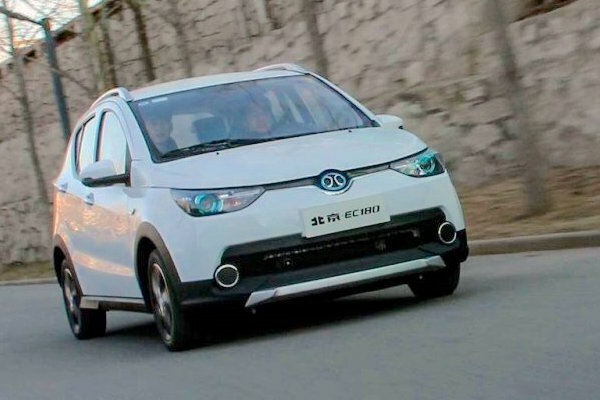 The little city EV is disruptive in China, owing its success to a trendy design, reminding that of a Crossover, improved specs (Now with 200 kms / 125 miles range) and competitive pricing (USD 22,000), all in a booming market segment. 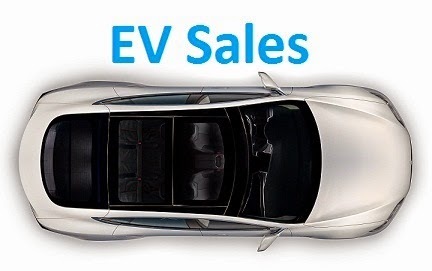 With the Chinese AND the Global editions of the 2017 Best Selling PEV Award in BAIC hands, the EC-Series is now looking into 2018, a six-digit performance is likely, how much above 100k is pretty much open to discussion, but I wouldn’t rule out the possibility that this small EV could outsell the Tesla Model 3 and become the 2018 Best Seller…In the World. Again. #2 – Chery eQ: One of the EV pioneers in China, having won the models title three times in a row (2011, ’12, ’13), with the QQ3 EV, Chery is trying to regain relevance with the eQ, which registered a record 5,650 units in December, allowing it to reach the runner-up position last month. A vehicle targeted at city dwellers, for USD 24,000 before incentives, you get a funky city vehicle, with the 22kWh battery providing enough range (200 kms / 125 miles NEDC), to cover the needs of the urban jungle. #3 – SAIC GM Wuling E100: Shanghai Auto and General Motors have high hopes for their tiny two-seater, and the production ramp up is starting to make an impact on the Chinese plug-in market, having registered a record 5.545 units last month, earning its first podium place. Will it replicate the BAIC EC-Series success? I wouldn’t rule out that possibility, and even export prospects, as it could be marketed as GM’s Smart-like product outside China…For more info on this tiny two seater car, please check here. 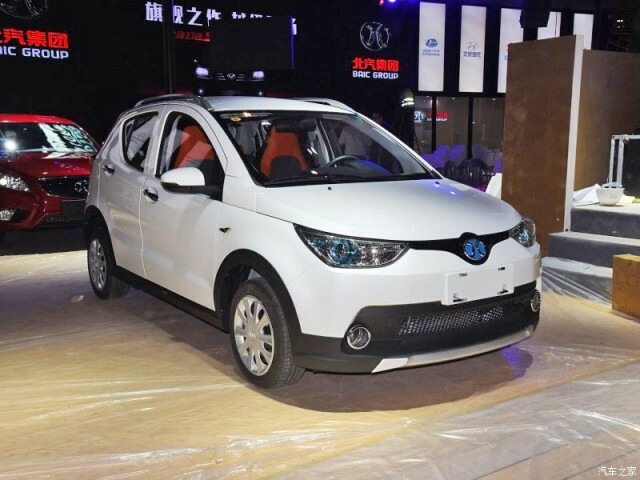 #4 – BYD Song PHEV: Build Your Dreams (BYD) current star product, the plug-in hybrid version of its Song compact SUV had 4,643 registrations, its best result in the last 5 months. It seems BYD’s “Model Y” has stabilized around 4,000-5,000 units, which in the future it might not be enough to secure the class Best Selling status, despite its top-of-the-class specs (70 kms / 44 miles range; 0-100 kms/h in 4.9s). 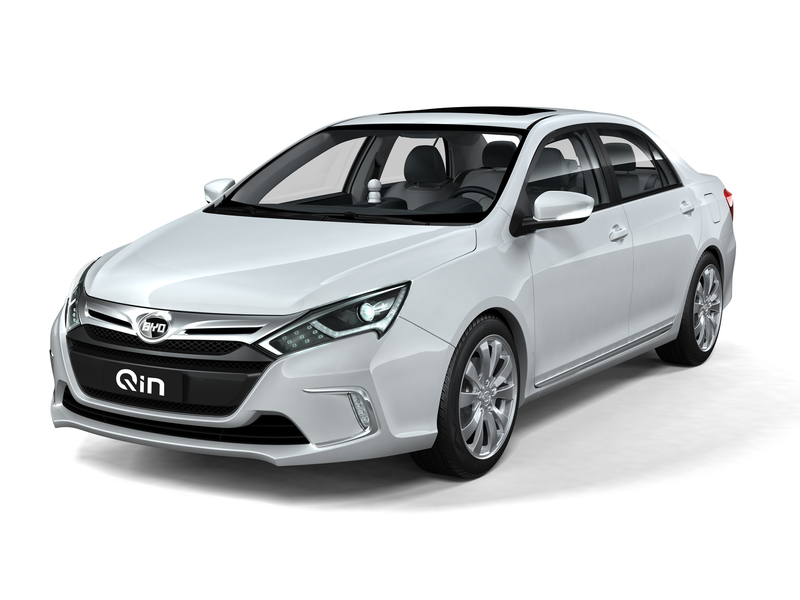 #5 – BYD Qin PHEV: This is the most common plug-in in China, with some 90,000 units registered to date, thanks to recent changes, BYD’s “Model 3” (0-100 kms/h in 5.9s) got its mojo back and is once again a major player, registering a record 4.543 units in December. With a competitive price (USD 31,000 before incentives), sales are expected to remain high, as long as BYD manages to make enough of them. Wuling E100: A 2018 Best Seller? The BAIC EC-Series won the Best Seller award in 2017, a first for a BAIC model and the end of a three year rule by BYD (Qin PHEV won in 2014 and ’15, Tang PHEV won in 2016), recording 78,079 units in 2017, a new all-time record. Second was the Zhidou D2 EV, scoring 43,342 units, with 2017 being by far the most successful year for the tiny two seater, while in Third we have the first BYD, with the Song PHEV ending the year in the last place of the podium, with some 31,000 units, roughly the same numbers that allowed the Tang to win the 2016 title. But with the market growing at 70% growth rates, more was expected from the BYD best sellers…. In a stable market, the big news were the Chery eQ climbing to #4, while the BYD Qin PHEV also rose to Eighth and the BAIC EU-Series climbed to #14, thanks to 3,247 units, a year best. Two new additions to the Top 20 joined the ranking in December, with the promising Wuling E100 jumping to #17, while the oldtimer BYD e6, no doubt helped by fleet deals, last month had its best score (3,818 units) ever since it landed, 600 years ago in 2010, helping it to reach the Top 20, in...#20. Looking at the manufacturers ranking, BYD (18%, down 1%) won its fourth title in a row, but the 2017 award was the most difficult of them all, because it watched the runner-up BAIC (17%) approach every passing month, fearing a last minute change in the leadership. In Third Place we have a last minute change, profiting from an underwhelming Zhidou performance (1,271 units, worst result in 2017), Roewe (7%) climbed to the last place in the podium, with the Shanghai-based manufacturer confirming its status as one of the “Big Four” (The others are BYD, BAIC and Geely) PEV carmakers in China. Is the BEV share still increasing over the PHEV share? I would say it has stabilized. And you can´t write what share it's? no Tesla in TOP 20 FY or December? With the 20th in the ranking having more than 10.000 deliveries this year and YTD Tesla deliveries estimates being up to November at some 7.250 Model S and some 7.970 Model X (your estimates numbers), only a December "à la" Norway December, would help Tesla cars to stay in the top 20. But José, do you have any input for total Model S and total Model X deliveries this year in China (and we already know, by November numbers, that Tesla, at least, sold as many Model S than last year and crushed Tesla X number of last year)? I still haven't got the final December numbers for Tesla in China, but apparently December was a "drought" month, with Tesla overseas priority going to Europe (Norway). In China there were only 100-200 Teslas being registered in December, so expect a strong Q1 2018 for the brand there. Which means that a good product, like the Volt, and local manufacturing, won't be enough for foreign OEMs to win significant share in China. Top manufacturer spots must be really close. 1. BYD (~108k), 2. Tesla (~103k) 3. BAIC (~102k)? Or did BAIC edge out Tesla for second place? It will be exciting to see the world results and how and if the last thousands of plug-ins changed the tables. That is something i am trying to grasp before the global edition, apparently BAIC exported some hundreds of units, but i still don't know how many exacly. But expect numbers to be really close. Wow. Can you provide the link? Thanks for the link, is this China-only sales or global sales? BMW delivered 103,080, what a close race! Thanks Mario, i was missing that important piece of the puzzle! What about if we count Renault/Nissan/Mitsubishi as an automotive group, they should get somewhere around 100k together? As usual thanks for the great work, even though it gets bigger and bigger all the time. Mmm...You have just gave me an idea. Tune in tomorrow to see something interesting here! Almost 40 000 under top 20. Maybe somthing big is coming from the deepwater. I will give you just one telling stat: There are 190 Plug-in models being sold worldwide. 107 of them are from Chinese brands. HOw about buses and trucks? I don't know for others but my usual google research "EV sales" does not give your blog in first page of searched items anymore since a few days, I have to look like in the fourth page to find a link to your blog. Thank you Jose for another great summary! What's your rule-of-thumb 2018 China EV sales prediction (passenger cars)? Thanks again! thank you for your nice reports! Can you maybe tell me what your data source for the Chinese Market is? It's not just one source, i base my data in 4 or 5 sources, i don't think there is one 100% reliable source for China. What are the reasons for the sharp increase in electric vehicle sales in China in December 2017? The last month of the year is always a peak point in this market, due to being the last month of the year with the "n" year subsidy. Can I ask you what is your source for these data? Especially the sales volumes?